If you experience difficulty with this form, please contact us at (239) 444-6150 during normal business hours 8 am to 5 pm Monday thru Friday and we will be happy to assist. 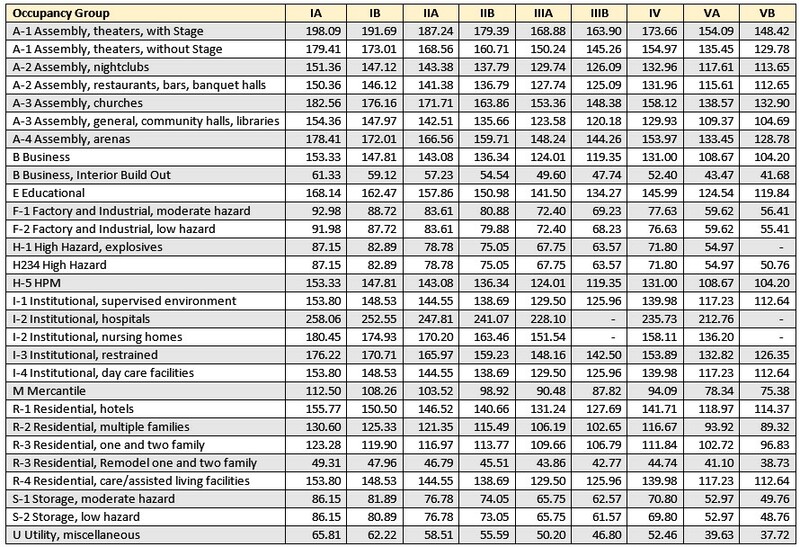 Reference ICC Chart (click here opens in a new window), find Occupancy Group and Construction Type. Multiply square footage by fee illustrated on ICC Chart, or use the valuation calculator below to obtain ICC valuation. Select valuation range from from-down menu.